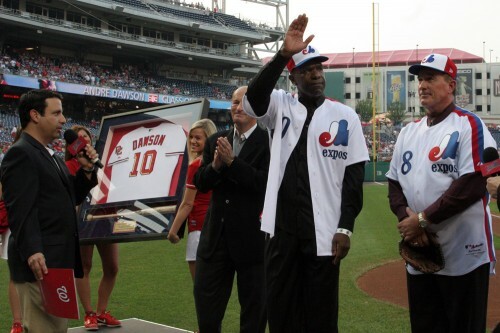 The Nationals first announced their decision to honor Dawson on July 27 to the slight chagrin of some of Washington’s baseball fans who grew up with the Washington Senators. 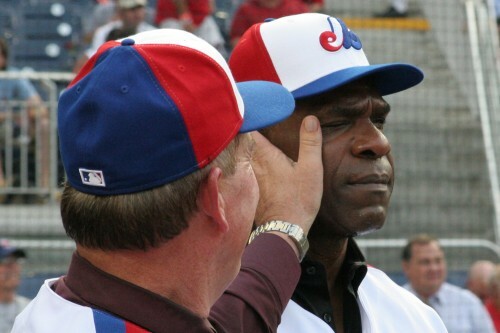 The argument is: if we didn’t grow up with the the Expos then why honor them? 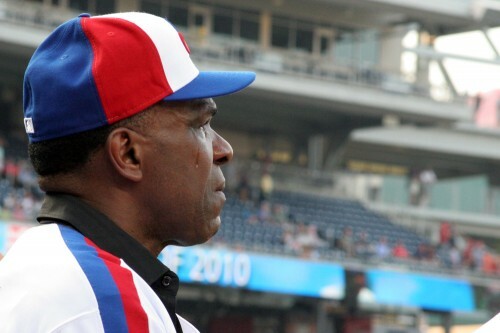 It’s a valid argument, but what about the players who are now baseball orphans? Both Dawson and Carter are without a ballpark and a team to go home to as a result of failed financial matters beyond their control. Sure, they’re not the only ones who have experienced this throughout the years, but most baseball orphans are results of expansion teams. The Expos were an expansion team when they started, but the Nationals are a direct descendant of Montreal and not an additional expansion. There’s also the historical aspect of baseball. History is a huge part of why baseball is the treasured game it is in the hearts of fans across the country. Records and statistics from the game’s greatest names are what keeps the kids reaching for their gloves and bats before heading to the diamond at a young age. Imagine where the game would be if Major League Baseball and its fans didn’t take the time to remember the likes of Babe Ruth, Hank Aaron, and the lot? It wouldn’t be the same, that’s for sure. That’s why the Nationals organization took the classiest route possible. They acknowledged not only the greatest names in Washington baseball but their franchise’s forefathers as well. Carter was overwhelmed when he first saw his name in the Ring of Honor. 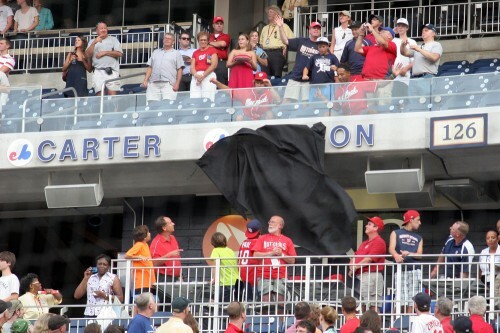 Not only did he have no idea he would receive high praise from the front office during the pre-game ceremonies led by Nationals radio personality Charlie Slowes, but to have his name installed beside Dawson and the rest of Washington’s greatest ball players is a career achievement he will always be proud of. Dawson and Carter had the opportunity to start playing the game they love at an early age with a young organization when they started in 1969 at Montreal. It was a new expansion team then they both Hall of Famers realize that they might not have gotten that same kind of opportunity to move up the ladder as quickly as they did had they played anywhere else. Dawson made the faster jump of the two, going from double A to triple A to the majors all in one year while Carter spent two and half years gearing up for the big show in the minors. The tears Carter wiped away from Dawson’s cheek during the pre-game ceremony said it all – baseball is more than a kid’s game, it’s a memory that sticks with you for a lifetime. Dawson’s still highly identified with the Cubs, while Carter had some great years with the Mets, including the 1986 World Series champions. So I don’t know if I’d call them orphaned, though their Hall of Fame plaques show a cap for a team that no longer exists. There is banner in Montreal’s Bell Centre too. Given that both of these guys lobbied to have different teams on the caps and never played here, this was all unnecessary. It seems to have made the folks who didn’t live here during the no baseball era happy though. 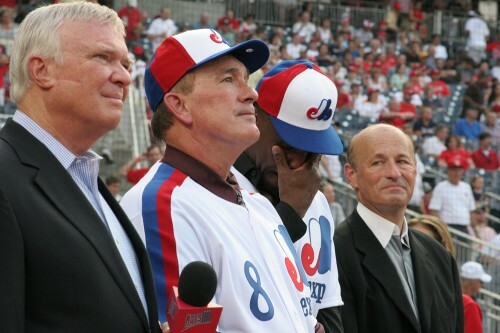 Frank Howard should be in that ring of honor more than the Expos players. One of the pre-requisites for being in the ring is Hall of Fame membership. So, unfortunately, Frank Howard won’t be there. Hey I just wanted to drop a line and say I really like your website. I have been looking at it for quite some time now and i thought it was about time i dropped a comment and said hello.